Oxfam’s latest infographics also highlight the division of labour in households in 6 countries when you factorunpaid care work into the equation. The fact is, women work longer hours than men, and get paid less, and that needs to stop. NGOs often try to engage more women in their programming, to give them more opportunities and help lift them out of poverty. 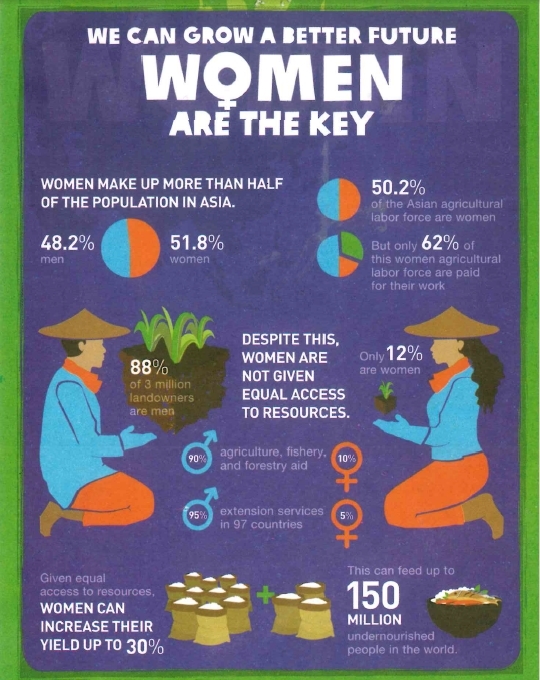 However in reality women often aren’t able to participate in NGO programmes due to the level of care work they need to do at home in addition to normal farm labour or other paid work (such as childcare, caring for the elderly, sick, disabled, as well as laundry, cooking, cleaning, collecting water, feeding animals etc). And in the Ebola crisis raging through West Africa right now, women’s role in the household as the caregiver puts them at much higher risk of catching the disease, making them even more vulnerable. 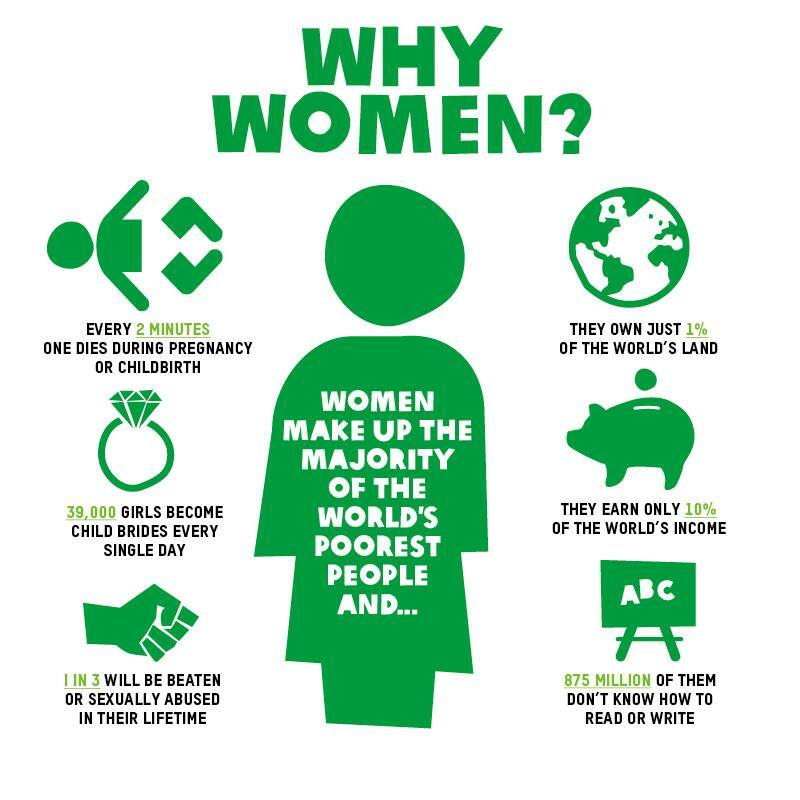 So while women in Europe are still fighting for equality and attempting to close the pay gap, women across the rest of the world are trapped in poverty because they are not recognised as equals. And that needs to stop. In fact, in a recent report (Time to Listen) involving over 6,000 beneficiaries, most men agreed that they had benefitted more from those programmes where the women were targeted rather than themselves. citing examples of processes and programming to improve the status of women. and men, recognized how societal patterns often perpetuate gender inequality. This entry was posted in 2014 and tagged 2014, Ebola, Women by worldenoughandtimeblog. Bookmark the permalink.